1.1 What is a Rangefinder in Golf? 1.2 What Types of Rangefinders are on the Market? 1.3 Which Rangefinder is Best For Your Needs? No matter your handicap, being able to accurately ascertain the distance left for a given hole is going to have a huge impact on your final score. Of course, you could learn the art of using certain markers on the course to determine a rough distance, but when you then consider the difference it can make to your club selection, then do you really just want to have a rough estimate? Thankfully, there is another option out there, and it is a tool that has revolutionized the game of golf from professionals down to those just starting out. That tool is a rangefinder, and if you have never had the opportunity to try one yet, then you are seriously missing out. What is a Rangefinder in Golf? How often have you found yourself on the course looking at your second shot and feeling absolutely unsure as to the distance left or even which club to then use? How often have you guessed a rough distance only to either come up short or hit it through the back of the green giving yourself a tricky chip back? This happens all of the time, but it can easily become a thing of the past simply by using a rangefinder to your advantage. 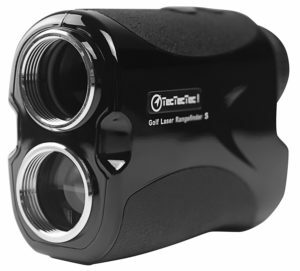 Using a laser, the rangefinder will tell you the exact distance left allowing you to then have a better understanding of the kind of shot you should be playing next. However, don’t for one moment think that it only works with the flag because that’s not the case. Instead, a golf range finder is also capable of working with hazards, or even just to get up to the green if you feel that hitting it close to the pin is too tricky thanks to your current position. In other words, the best rangefinder can be used in a multitude of ways with each round and it will help to guide you through those various hazards that could spell disaster for your final score. 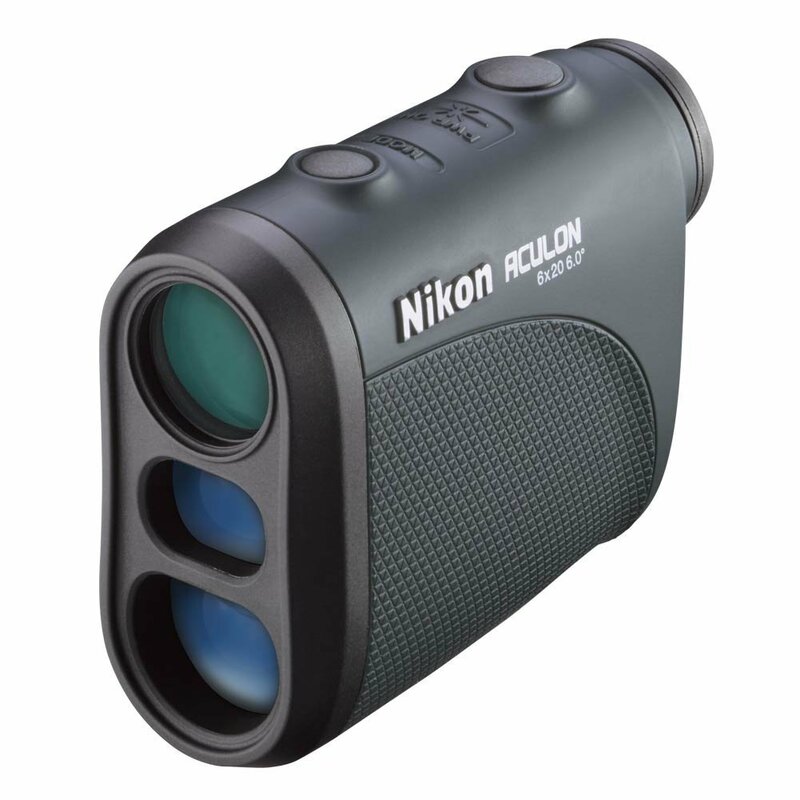 What Types of Rangefinders are on the Market? In previous years, it used to be the case that the only rangefinders on the market were those that took the form of something that appeared to be similar to binoculars. However, thanks to advances in technology, that has now changed. Yes, that form of rangefinder is still readily available, and it is extremely popular, but there are other options out there on the market as well including in your smartphone or tablet. However, the laser and GPS models are still the most popular, as well as the most trusted to provide you with the correct data each and every time. To help, we can check out the different types that you can purchase to assist you in beginning to understand the direction in which you should head when it comes to choosing this particular piece of equipment. A rangefinder app is just something that you can have on your smartphone or tablet, but considering you are out on the golf course then it makes sense that it is more likely to live on your smartphone than anywhere else. The aim of the app is straightforward, and they are available on both Apple products and Android, so you should be capable of finding something in next to no time. They use GPS as their way of providing you with accurate information as to how far you have left to the hazard or pin, and it is fair to say that some apps are better at it than others. However, these apps will often have a number of other features built into them such as a digital scorecard or booking a tee-off time at a course which may prove to be slightly distracting, and that is a problem with the general golf GPS app. To be honest, keeping things as simple as possible will often prove to be the best way to go, and this is something that is not going to work out as you would perhaps expect. This version also works with GPS, and even though there are still limitations on what it can do, there’s no doubt that a golf GPS watch is going to often be easier to use than the app equivalents. Yes, they are unable to perform some of the actions that you will see on hand-held options, but the information and data is clear and easy to follow with it being shown on the face of the digital watch. For people that do not wish to carry around any extra equipment or tools, then this could very well be the perfect solution while still being able to provide you with the data that you need in order to reduce your handicap. The most common version is clearly the hand-held options that sit comfortably in your bag as you go around the course. Weighing virtually nothing at all, these versions are the main core of the entire market and are the focus of the majority of our buying guide. This is the version that can use either laser or GPS in order to deliver the readings via the viewfinder, and with a wide range of brands, styles and technology available, this is the version that has dominated the market since the range finder was first launched. Also, with the hand-held option it is easy to find something that falls within your own individual price range simply thanks to the different models that are on the market. Indeed, this is one of the reasons why it can often be so difficult when choosing the correct model to suit your needs, which is why we will also help you to determine what it is that you should be getting. There are a multitude of clear benefits associated with using this simple piece of technology, and this applies no matter your handicap. Anybody can benefit from those that hit the fairway with almost every drive to those that spend half of their round getting themselves out of trouble in the rough. The first thing is that the data it provides regarding the distance will always give you some additional confidence in your shot rather than hitting it while being blind to the distance left. If you feel more confident in the shot, then your swing will be steadier and you will hit the ball cleaner than before since a lack of confidence leads to nerves which, in golf, leads to tension in the muscles and things being less smooth. People are aware of what the intended average distance if for each club, but the reality if often different simply because of variations in swings and power for each individual. This does mean that you will often be uncertain as to what a club is capable of providing you with, and it makes sense that you will then misjudge everything and play a horrible shot. By studying the data and becoming more aware of the distances you can achieve with your clubs, it will then make it substantially easier for you to make the correct decision and eliminate those costly mistakes. Ultimately, it leads to a better all-round understanding of the game which can only bode well for you reducing your handicap. When there is uncertainty over the distance left, and then the club selection, it does mean that it takes you longer to complete a round than you would perhaps like. Using a golf range finder is going to speed up play as those key decisions become easier thanks to the data that is made available to you. The fact that they can make their calculations in seconds is another huge bonus and you can just feel completely confident in your decision based purely on the data that is received from the rangefinder. Slopes and Inclines are No Problem. If golf was played on a perfectly flat surface all of the time, then it would lose some of its magic and intrigue. Slopes and inclines increase the difficulty level for all players, and yet those very same inclines and slopes will also alter the distance that you have left. When you are already struggling to make sense of the distance on your own, then it is easy to see how it can completely change the outcome, and selecting the wrong club is also going to prove to be far more likely. 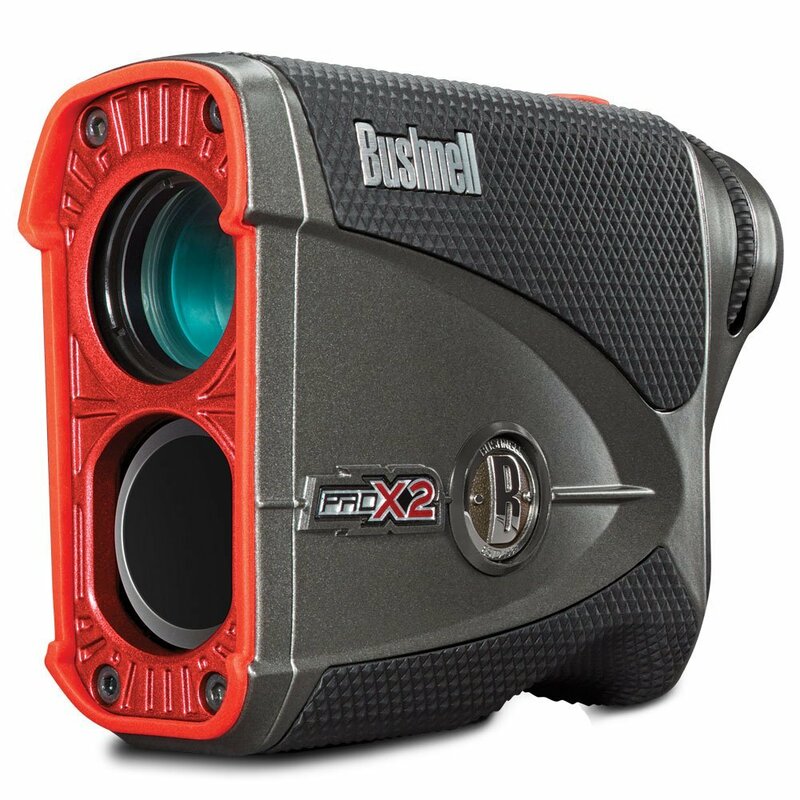 The best golf laser rangefinder will take those slopes and inclines into account by compensating for the slope and providing you with a new and updated distance to that hazard or the flag. This alone is extremely important because markers out there on the course are never going to be in a position to help you in dealing with the impact that a slope has on your shot leaving you completely in the dark. Which Rangefinder is Best For Your Needs? The advantages of using a rangefinder are clear for all to see, but which style, or version, will prove to be best for your own individual needs. In order to answer this question, we really need to examine more closely the various key components that you should be looking for when it comes to making your selection. However, do remember that this is not going to help with your stance or swing, so do not expect miracles even though it will make a significant difference to your ability to understand distances. Getting to grips with the features aspect is key as the number of things that the rangefinder can do is going to vary depending on the amount of money that you are willing to spend. A cheap rangefinder will clearly only provide you with the absolute basic information, and for some people that will prove to be enough and there is certainly nothing wrong with that. However, spend a bit more, and you will be able to purchase a rangefinder with things such as magnification and Jolt Technology where it ascertains that you have indeed honed in on the correct target and not something behind the pin instead. There is also the PinSeeker option where the finder itself determines if it has caught onto the flag saving you so much time in trying to do this all on your own. So, understanding the range of features on a given model will always be important when selecting a golf range finder. Not every model is made to the same standards or specifications, and this extends to the maximum range that it is capable of dealing with. The good news is that most of them do cover up to 400m, which is often more than enough for the vast majority of golfers but there are some that go above that figure even though they do cost more money as well. Remember that you are going to have to carry the rangefinder with you as you play your round, so the last thing that you want is for it to be large, bulky and heavier than is necessary. Thinking about the dimensions and weight is more important than you realize, but thankfully there are a number of models out there on the market that are extremely compact and very easy to transport. Also, don’t think that because something is smaller and lighter that it is going to be inadequate in some way because that is not true. The technology that is included in the equipment is so lightweight anyway that this does not make a difference. Look, there’s no doubt that some rangefinders are easier to use than others, and it is not always going to be linked to price as to which one is more complex. If you are new to the game of golf, then you want to go for a rangefinder that is very straightforward in what it does and operates pretty much via a point-and-click method. However, if you already have a good understanding of the game in general, then it may be time to go for something that is a bit more advanced and capable of providing you with more detailed information. That is where additional technology can be used to take the likes of slopes into account to give you the most accurate details possible. 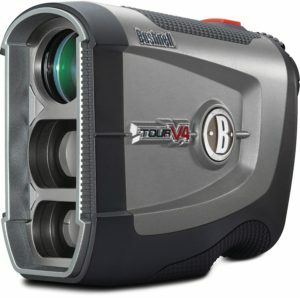 Yes, this has a tendency to increase the price, but there are models across the price range that are packed full of technology that will increase the difficulty factor of using the rangefinder in the first place. You will also be taking into account how much it will cost you as you should have your budget in mind before you really start to check out what is on offer on the market. The variation in cost can be huge with it depending not only on the technology that is contained within but clearly the brand name will also make a difference. Careful research will allow you to better understand what you are able to get for your money, and it may surprise you as to what you can get for very little money indeed. 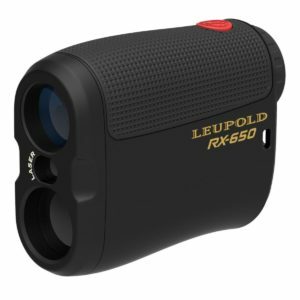 One thing you certainly do not want to do is to just go in blind and purchase a rangefinder that you think is a good fit for your needs. Spending time doing your research is key as this will tell you more about the rangefinder and whether or not it will prove to be a good fit for your needs. It will also be easier if you can hear from others about how easy it is to use and whether or not it has proven to be a useful purchase. This alone can help you when making your decision, so reading our reviews of various rangefinders will prove to be a rather useful place to start. You should also spend time understanding what you personally need from the rangefinder before you go ahead and make your purchase. Is the slope and incline feature important for you? Are you simply searching for something that tells you the distance and nothing else? We strongly recommend being certain about your needs before making a purchase but that is also why you should spend a considerable amount of time doing your research as mentioned before. Is it important to you that it has been passed by different golfing authorities? If so, then there are a number of different options out there for you. Of course, being aware of the key mistakes that people make when they are searching for the best golf rangefinder will make it substantially easier for you to select the correct one for your needs. Let’s face it, you want to get the best one that your money can buy, so avoiding those duds or the things that are just useless for you and your game as this is supposed to be something that is to help you. So, what should you be avoiding doing? There is no excuse for not doing your research or reading it and then deciding just to ignore it anyway. There are so many different options out there that it is essential to spend time checking them out. It will become all too easy for you to spend more money than you intended on the range finder and then feel disappointed in your purchase, which is something that we always want to avoid happening. Dealing with the brand is always going to be more important than most people realize. After all, they are often swayed by a name while others do not place enough importance on it all leading to a rather poor choice of product. Looking at trying to save money by purchasing an unbranded product is generally going to come with a range of problems and difficulties that you would just not have had to encounter if you had spent time understanding the various brand names that are out there. Not only will a good and respected brand often result in more accurate data being provided to you but it should also provide you with more confidence to then take your shot. In other words, forget just going for any old brand just to save cash as that can often work against you. Instead, focus on the equipment and what it is able to do for you as you make your decision, but then that is where carrying out adequate research will prove to be beneficial to you. There are clearly a number of things to take into consideration when you are seeking to purchase a golf rangefinder, and it is certainly not the case that you simply go ahead and select the first one that you see or one that appeals to you. Instead, taking your time and weighing up the various options will prove to be far more beneficial to you and makes it substantially more likely that you will be quite content with your final purchase. Keep in mind the various things to look out for as well as the mistakes that you need to avoid as this should result in you being effectively guided away from those rangefinders that are best to be left alone. Considering the potential money that you can spend on this very product, spending time doing your research and looking more carefully at the different aspects of the rangefinder, and whether or not it can do all of the things that you want, is always key. Failing to do your research has to be the biggest faux pas around, and as a result the chances of you improving your handicap will drop dramatically. A golf range finder will prove to be one of the best purchases that you can make, and this applies no matter your handicap. Being able to accurately determine the distance left to the pin or any hazard will speed up your club selection and help you to avoid either falling short or shooting through the green. So, with all of that in mind, you are now perfectly armed to go ahead and start checking out what is available on the market. With different models covering a vast array of prices, and not to mention the various styles and levels of technology, our intention is to find for you the best golf range finder that your money can buy. With our reviews, we will take into account each and every aspect from its positives and negatives, to the ease with which it can be used, and even whether or not we believe that it is worth the money that they want. You see, there’s no point in us trying to cover up the truth as we want you to feel confident in the selection that you have made, and the only way in which you can do that is by us getting to the absolute core of each model and determining if it delivers on what it promises. After all, you want something that can make a huge difference in your game and cut out so many of those mistakes that come as a direct result of not being able to gauge the distance correctly. Making an incorrect club selection is one of the fundamental mistakes that those new to the game generally make, and the various rangefinders that we have checked out will rectify those mistakes in an instant. 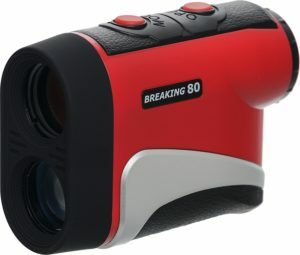 It is our aim to help you to rekindle the fun aspect of golf rather than dealing with all of those frustrations that come with effectively hacking your way around the course, and by checking out our reviews of the best golf range finders on the market today, then we are confident that you will be able to achieve exactly that. 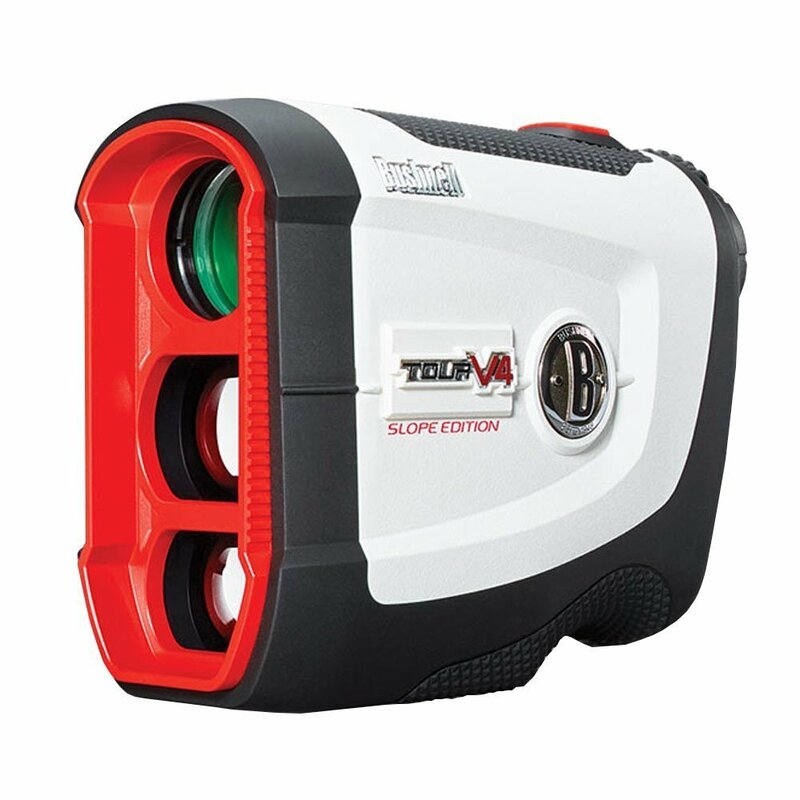 If you don’t want to pay too much and yet don’t want to compromise the quality of your purchase either, the TecTecTec VPRO500 is one of the best golf rangefinders the market can offer you. It’s particularly suitable for people who value the compactness and portability of their accessories. 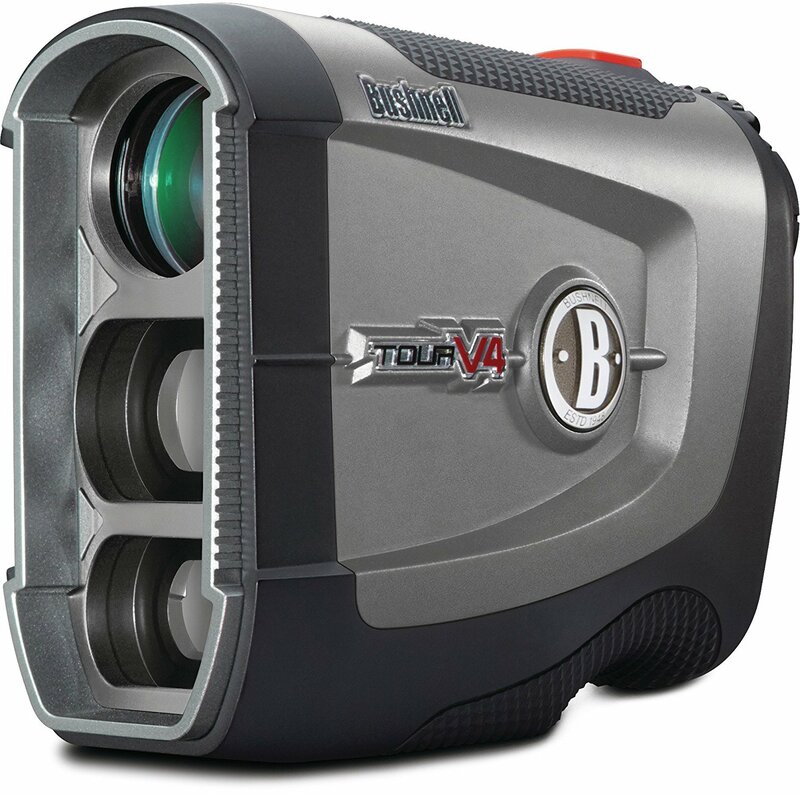 A moderately priced laser golf rangefinder that’s tournament-ready, this is not your average model. It’s designed for users who want top quality performance and aren’t afraid to spend a little more on their purchase and should last you a long time. Another affordable model which still offers a lot more than you would assume from its price, the Nikon 8397 ACULON AL11 is easily the best rangefinder for users who want something that works quickly with a minimal amount of setup, and is reliable enough in the long run. finder that comes with multiple advanced features to separate it from the rest, and make it one of the best rangefinders on the market by a large shot. A top-tier model designed for those who truly know what they want, this is one of the most advanced golf rangefinders out there, and the ideal choice for someone who can afford to spend a little extra on their purchase. If you’re looking for the best golf laser rangefinder in this price class, look no further. An advanced laser golf range finder with a lot to offer to those who know how to use it properly, the Bushnell Pro X2 is one of the best rangefinders and can easily suit the needs of most users without being too complicated to use. A relatively new model with a lot to offer to both beginners as well as experienced users, the VPRODLX is one of TecTecTec’s most solid products in the golf rangefinder market. A good choice for golfers who want an extra edge. 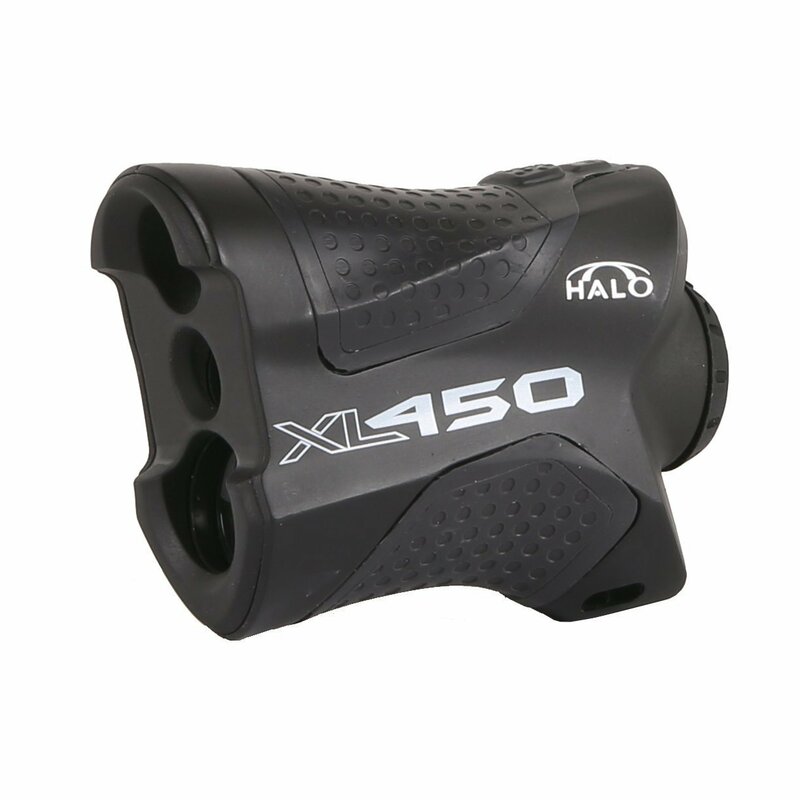 The XL450 is not a very advanced model but still comes with a good set of features, and should prove useful to golfers who’re having trouble ranging their shots correctly, and need a precise, yet inexpensive golf laser rangefinder. One of the absolute best rangefinders on the market, the COOLSHOT 40 makes no compromises at all. This is not your everyday model and it’s intended for users who know what they need, but once you’ve used it once, you’ll never want to hold another model in your hands. 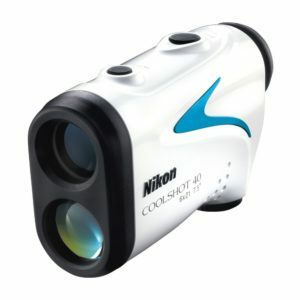 A great mid-range golf range finder designed to be as flexible as possible, this is a great deal for its price, especially for those who can see themselves getting many years of use out of their rangefinder and want something that’s built to last. 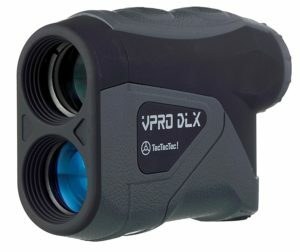 A medium-priced golf range finder that will work fine for most people’s needs and has the potential to bring a significant improvement into your hunting, especially if you’re a more advanced user with more experience in the field.